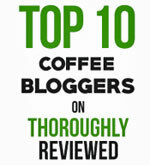 The coffee press – one of the simplest, least expensive and best ways to brew coffee. 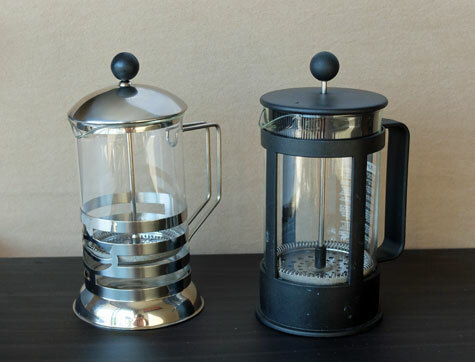 A coffee press, also known as a French press, is one of the best ways to make coffee. 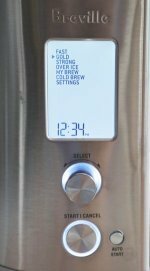 The coffee press has been overshadowed somewhat by the arrival of the latest high-tech single cup coffee makers. 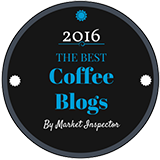 But it’s still one of the easiest and least expensive ways to make a cup of coffee. You simply add coffee grinds and near-boiling water to the glass carafe, wait a few minutes, and then push down the plunger. The plunger has a steel filter attached and separates the coffee grinds from the water. There are a variety of sizes you can choose from, suitable for making a single cup of coffee, or up to half a dozen cups. 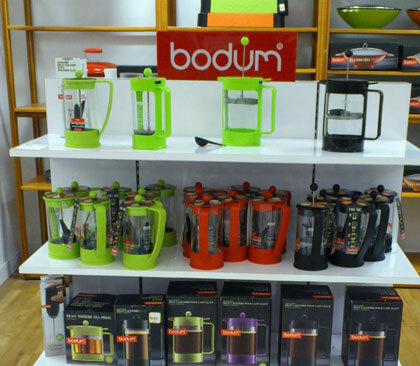 The Bodum Chambord Coffee Press is typical in terms of size, and costs less that $25. 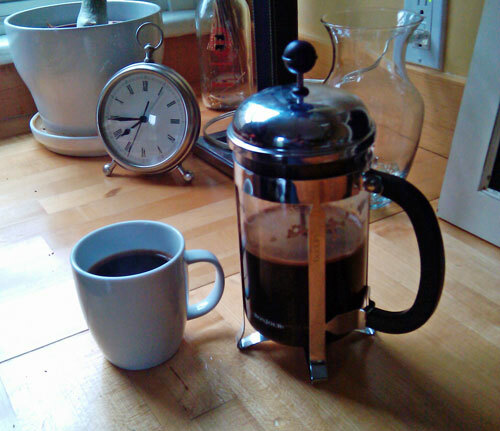 The French press is one of the simplest and most elegant of all coffee makers. First of all, it’s a lot less expensive than a drip coffee machine or electronic single serve brewer. Second, it takes up very little space on your counter. Third, it’s easy to clean, with no paper filters or hard to clean places. Simply tip out the wet coffee grinds into the sink after you have enjoyed your coffee, then wash the carafe and plunger by hand or in your dishwasher. Fourth, you can choose any kind of coffee you like. Whether you buy ground coffee or whole beans, you’ll want a coarse grind. If the grind is too fine, you’ll find particles coming up through the filter and into your coffee. Finally, there is almost nothing that can go wrong. No electronics to suddenly die on you. No moving parts to break. It’s true, using a coffee press is not quite as convenient as buying a single serve coffee maker. But it does put you in closer touch with the pleasures of making your own coffee – and gives you total freedom when it comes to choosing which coffees to try. As you can see from the photo above, a coffee press looks good. Its simple, elegant design fits in anywhere, on the kitchen table or on the dining room table. Or, as you can see from the photo below, you can get colorful with your French press and use it to add a splash of color to your kitchen, and your morning! What's the best coffee to water ratio when using a French Press? Pick just about any color you want for your French press.